I am sure there are many travel aficionados out there who are also pet owners. I happen to be one of those. Don’t you ever wish you could take your pet along with you and cuddle with it while you are away on your travels? Sure, if you are traveling across by land you can take them with you, but a trip to an island? What to do then? Here, I am going to describe how you can take your pet along on an island trip, all in the hopes that there will be more happy pets that can travel to these islands. Destination: Izu Oshima Island. With Our Pet Corgi. 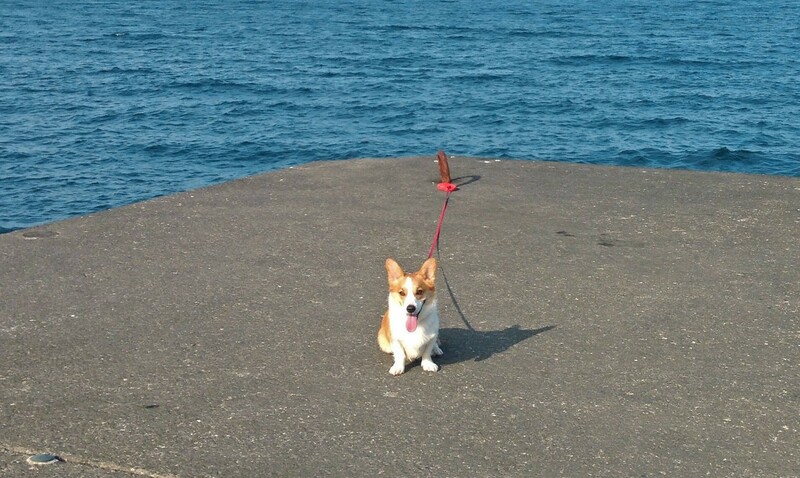 Meet the traveler of this trip, ‘Mugi’, a Corgi (one and a half years old at the time, male). Originally a herding dog, he loves playing outdoors. Knowing how much he loves the wild, and knowing how much fun there is to be had in Izu Oshima, I couldn’t get myself to travel to Izu Oshima without him. So I dug around and did some research to try and figure out a way to take my dog with me. There are 3 ways to get to Izu Oshima Island; by air, high speed jetfoil, or large ferry. For planes, simply use the service offered by the airline as you would for any other domestic flights. So on to the question of transporting your dog on a boat. At just an hour and 45 minutes from Takeshiba Pier in Tokyo to Oshima, the high speed jetfoil is a fast and convenient method of getting there. The only problem is, only dogs of small breeds are allowed on the jetfoils. 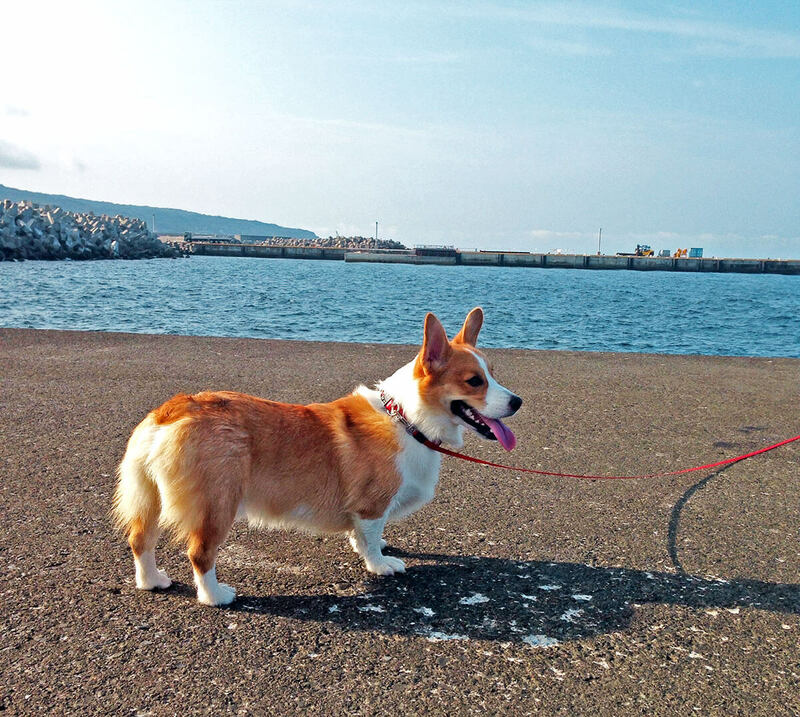 Our Corgi may be short legged, but weighing in at 14 kg, he’s considered a medium sized dog. As such, the jetfoil was not an available option of travel for us. In the case that the jetfoil is a viable option for you, their method of transporting your pet is to have you bring your dog in a cage that they will place in a designated area. While it’s sad to have to part with your pet, as the ride is only an hour and 45 minutes long, it’s a good option if your dog is a small breed. So what happens on one of the larger ferries? The ferry leaving Tokyo was Sarubia-maru. Built in 1992, the hull of the boat appears slightly more battered compared to the Tachibana-maru, which I will go into in more detail later. Boarding tickets for both humans and pets can be bought at the same ticket desk. With our tickets at the ready, off we sail! Except…. I felt bad for my dog, but we had to put her carrier in the corner of a hallway, and covered it with a cloth to keep out the light. 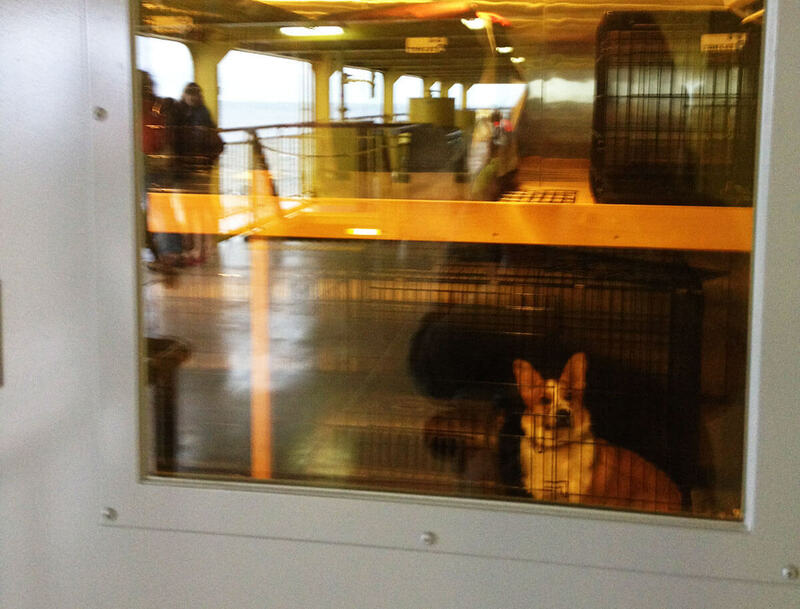 The ride to Oshima on a large ferry is 6 hours, but he’s good at housesitting, so we think he’ll be okay. For those who would rather avoid this, we recommend taking the jetfoil or Tachibana-maru. Meanwhile, the Tachibana-maru, which was completed very recently in 2014, is quite the world apart to the Sarubia-maru in terms of facilities. The boat even comes equipped with a dedicated ‘Pet Room’! 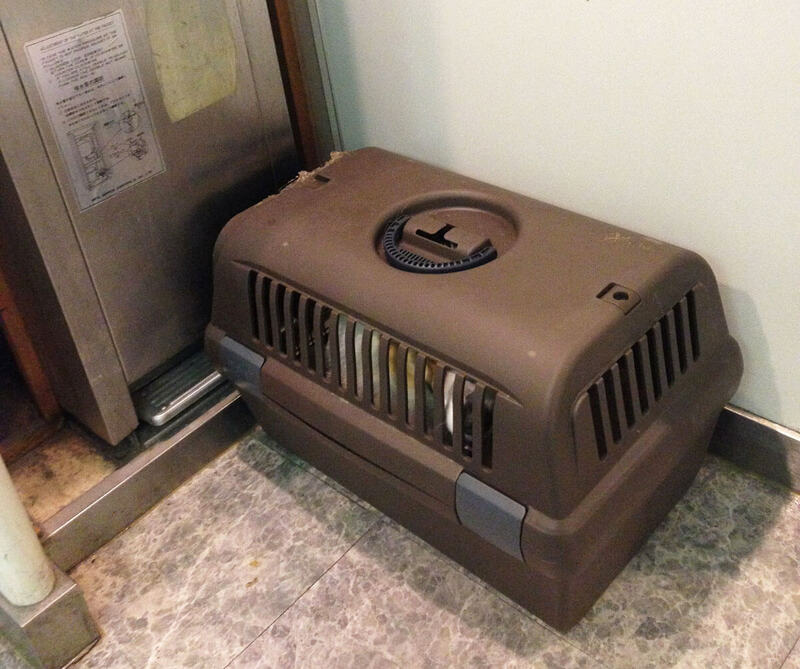 The room comes fully equipped with a cage, but if you put in the entire dog carrier in there, you can have your dog feel quite at home during transit. He appears to be a little nervous, but he’s smiling. There are benches in the room, so you can chill out while keeping an eye on your dog. You can even peep into the pet room from outside. I’m so grateful that this sort of facility is available. I highly recommend it. 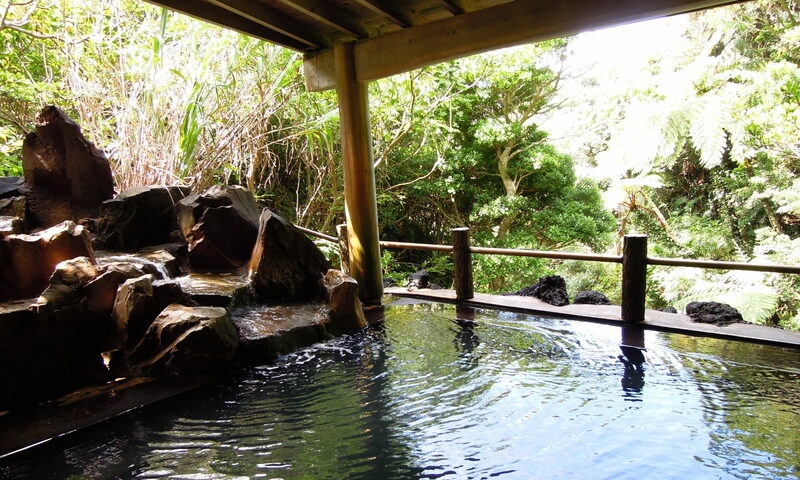 For Miyake-jima, Mikura-jima, and Hachijo-jima, you can take the Tachibana-maru both there and back! 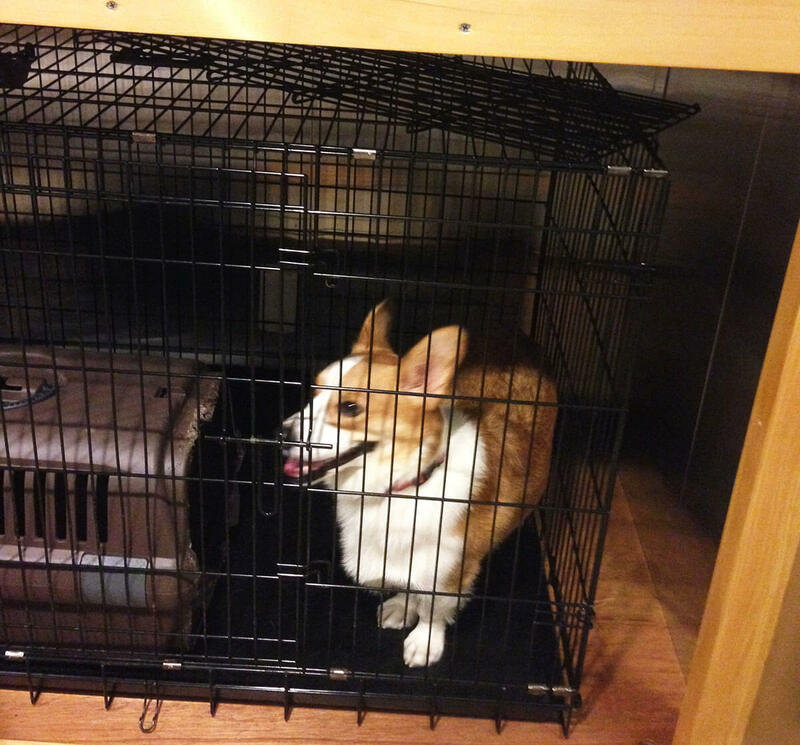 While we considered lodging together with the dog, in the end decided to we put him in a pet hotel as we were traveling with colleagues. We used ‘Oshima Pet Club’ (Japanese only). The owner is good humored, and will happily give you tips about which hotels on the island you can stay at with your pet, or where the best destinations are to go with your pet. For example, he informed us that it’s best to avoid having your dog walk on igneous rock as there may be shards of glass that could hurt the dog’s paws. Good to know! For the latest information, get in touch with the owner! It’s not always easy traveling with a dog. But seeing him frolicking around with a big smile on his face, I am glad I brought him along. If you are a lover of both dogs and travel, it’s an experience I recommend!